If you have been searching for Infusionsoft help you have come to the right place. RoadRunner CRM offers a variety of solutions and services to help you get the most out of Infusionsoft. Infusionsoft is a powerful tool you use to automate your sales and marketing so you can grow fast. 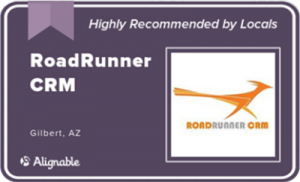 RoadRunner has been helping Infusionsoft users for over 5 years and has accumulated over 12,000 hours using and implementing Infusionsoft to grow small businesses. You can spend years attempting to learn Infusionsoft! That’s right, Infusionsoft is at least THREE separate tools. Contact relationship management (CRM), marketing automation, and E-Commerce tool. There are volumes of books, websites, and other resources dedicated to learning and understanding these tools. It has taken me over 5 years to master Infusionsoft and become an expert. I still learn new things everyday and I am still passionate about discovering new ways to do things. I have seen people and helped people do amazing things with Infusionsoft and I offer my assistance any way I can. Sometimes that is free and other times folks enlist my services to help them shorten the learning curve, implement faster, and develop processes that make money and save time. It can take hours to do what I can in minutes. The benefit of working with an expert is the amount of time you can save. Why take hours of your day to set something up in Infusionsoft for it to end up wrong or broken? Benefit from experience and save yourself the time it takes to get things done right the first time. How Can Hired Gun Solutions Help Me Use Infusionsoft? I have prepared a list of some of the different ways YOU can get help with Infusionsoft. FREE 30 Minute Consultation – A great way to your to figure out what to do next. Opt in to RoadRunner CRM marketing. I continuously share tips and tricks, hacks, and best practices FREELY and openly to my subscribers. Subscribe to the Blog. – I will be posting regular posts, videos, and other resources FOR FREE to help the nice folks that use Infusionsoft. Like us on Facebook, Follow @_____ on twitter, and Connect with RoadRunner CRM on LinkedIn. Check out Infusionsoft’s free resources they are abundant. If you are serious about getting Infusionsoft working for you then RoadRunner CRM offers a few different services. Infusionsoft Consulting Monthly Packages – designed to help you get the most out of Infusionsoft over a long period of time. Virtual On-Sites – Keyword… IMPLEMENTATION! This is a rapid, intense, and productive session to get things done fast. Work side by side with me as we build and implement Infusionsoft in your business. There you have it, these are the ways that I help Infusionsoft Customers.